Fujifilm Holdings Corporation, (富士フイルム株式会社, Fujifuirumu Kabushiki-kaisha), better known as Fujifilm or simply Fuji, is a Japanese multinational photography and imaging company headquartered in Tokyo. Fujifilm's principal activities are the development, production, sale and servicing of business document solutions, medical imaging and diagnostics equipment, cosmetics, optical films for flat panel displays, optical devices, photocopiers and printers, digital cameras, color film, color paper, photofinishing equipment, photofinishing chemicals, graphic arts equipment and materials. 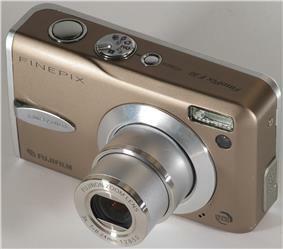 The new millennium witnessed the rapid spread of digital technology in cameras. 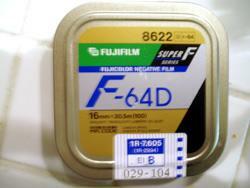 Demand for photographic films plunged in line with the growing popularity of digital cameras. In response, Fuji Photo implemented management reforms aimed at effecting drastic transformation of its business structures. Even as early as the 1980s, the company had foreseen the switch from film to digital, so "it developed a three-pronged strategy: to squeeze as much money out of the film business as possible, to prepare for the switch to digital and to develop new business lines." While both film manufacturers recognized this fundamental change, Fuji Photo adapted to this shift much more successfully than Eastman Kodak (which filed for bankruptcy in January 2012). Fuji Photo's diversification efforts also succeeded while Kodak's had failed; furthermore Kodak built up a large but barely profitable digital camera business that was undone quickly by smartphone cameras. ^ a b "Fujifilm Annual Report 2010" (PDF). 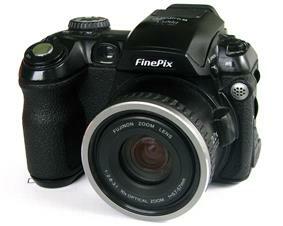 Fujifilm Holdings Corporation. Retrieved 2011-03-30. 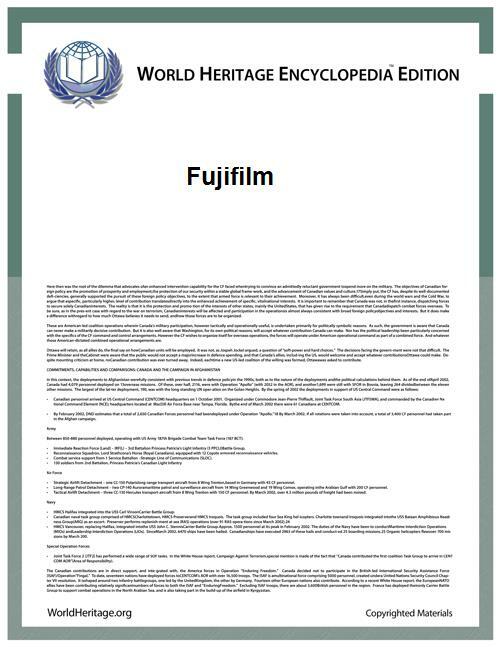 ^ "Company Profile for FUJIFILM Holdings Corp (FUJI)". Retrieved 2008-10-06. ^ a b c Stay informed today and every day (2012-01-14). "Technological change: The last Kodak moment?". The Economist. Retrieved 2014-02-07.